Saint André Bessette is a recent addition to our Catholic Church's Liturgical Calendar. 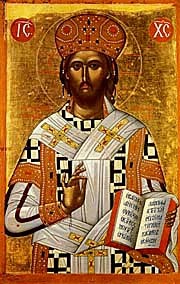 He lived from 1845-1937, and was just canonized a saint on October 17, 2010.
while the celebration of the Epiphany of the Lord has now been transferred to a Sunday in many dioceses, traditionally it was celebrated on January 6, along with the traditional Epiphany Door Blessing. And now on January 6 we celebrate the feast day (optional memorial) of a saint who was a porter, or a doorkeeper! Another wonderful connection to be made is that we celebrate the feast of Saint André Bessette during the Christmas Season, when there is such a focus on the Holy Family of Jesus, Mary, and Joseph. And André Bessette had a tremendous devotion to Saint Joseph. 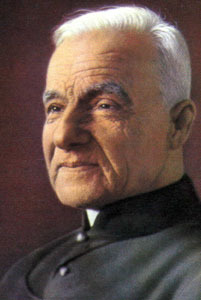 In fact, he founded the famous St. Joseph Oratory in Montreal. André Bessette had a difficult life and became a Brother in the Holy Cross Community, although at first they did not want him in their community. His only “official” ministry was that of a porter, or a door keeper! As the keeper of the door at Notre Dame College in Montreal, Brother André Bessette welcomed many people who were sick and suffering. A man of intense prayer, he counseled those suffering and became known as a miracle worker. When he died on January 6, 1937, over a million people came to his funeral. Here is a link to the Saint Joseph Oratory web site, which has numerous resources available about Saint André. And here is a link to the web site of the Congregation of the Holy Cross, the order to which André Bessette belonged. This site also has lots of information available about Saint André. There are several sites where you can download free prayer cards/holy cards for Saint André Bessette, such as the University of Notre Dame and the Knights of Columbus. Several sites about Saint André Bessette even provide a link to a 1955 comic book, "The Wonder Man who Founded St. Joseph’s Oratory." If you are interested in purchasing an icon of Saint André Bessette, Monastery Icons sells a nice one. As we continue to celebrate the Christmas Season on the 6th day of January, the month named for a doorway, let us always open our doors to welcome others in Jesus’ name as we remember Saint André Bessette, who let Christ's light shine through him to all he encountered as God's door keeper!